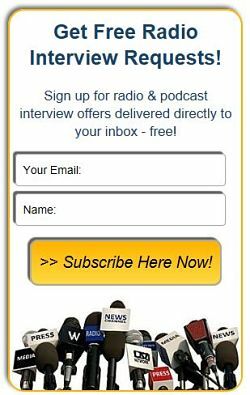 Thom McFadden, Anti-Aging Expert and Coach to the Stars - Radio Guest List.com - How to Get Radio Interviews and Find Podcast Guests! Thom McFadden's Stop Acting Your Age helps seniors get unstuck, embrace change, and look, act, and feel 10 to 15 years younger. His book Stop Acting Your Age uses a self-help approach to teach seniors and elders new ways of thinking about aging and keeping their brains engaged and active to keep those valuable synapses firing off and active to improve brain function and memory. An experienced Hollywood TV and Film actor himself, think of Thom as a reality show producer coming to your town to do a reality show on aging. He cast YOU as the star in the show to play yourself 10 to 15 years younger than your current age using secret Hollywood strategies and techniques that actors use to develop empowering personalities for stage and screen. Basically, Thom coaches you through a complete casting call and makeover. From helping you script your superhero personality to wardrobe to hair and makeup - everything​ you need to help you look,​ act and feel 10 to 15 years younger​ starting today​. McFadden, who is known as the “Acting Coach to the Stars” and has spent decades working as an actor, realized he could apply his knowledge and experience to create a unique system to help people look, act and feel 10 to 15 years younger. To my Facebook friends and followers. To my 8,000 + Twitter followers.